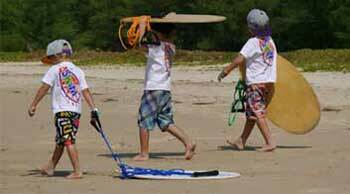 Tow Skim | fun for kids of all ages | the most exciting beach product since the bucket and shovel! Tow Skim is the latest innovation in beach products, promising to revolutionize fun at the beach by letting kids experience the thrill and excitement of skimming along the water’s edge. With its patented progressive towing system, Tow Skim allows kids of all ages and skill levels to enjoy safe, interactive, healthy fun. Parents can pull their kids or kids can pull each other, so parents can relax while their little ones burn off some of that boundless energy (hold the applause, please!) Tow Skimming promotes coordination, balance, confidence and fitness, encouraging kids to develop the skills necessary for more advanced sporting activities. 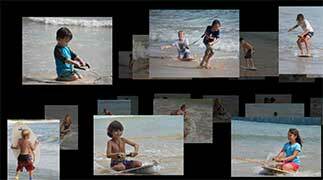 Watch The Tow Skim Unveiled Video. Then, join the tribe. Everyone's welcome. Skim (geddit?) Through Our Photo Wall. Tribe Members in Action! 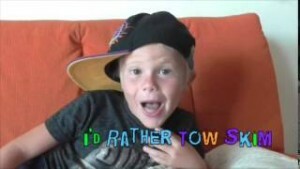 Send Us Your Pics! 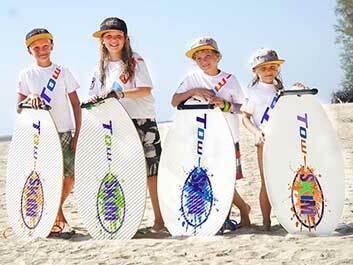 Check out the 2014 lineup of Tow Skim board sets, available in 'O-wesome! Orange', 'Go-Fast! Green' and 'Blast-Off! Blue'. Get a board, join the Tribe and redefine how you have fun at the beach!